Customer deliveries of the luxury electric sedan start this week. It's a pretty big week for Tesla Motors (Nasdaq: TSLA) and the electric vehicle industry as a whole. 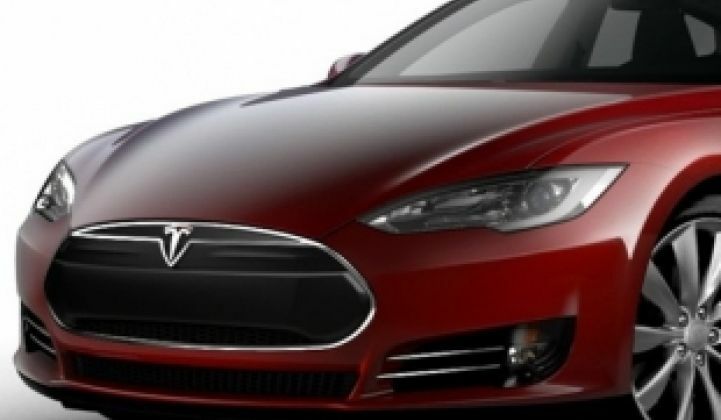 It's an even bigger week if you have one of the early reservations for Tesla's Model S sedan. That's because deliveries for the Model S start this Friday, June 22. The event will be webcast here. Built at Tesla's new Fremont plant, the Model S starts at $49,900 and ranges up to $97,900 depending on battery size and range options after a $7,500 tax credit. The Model S has three battery pack options of 40, 60 or 85 kilowatt-hours. Tesla has more than 10,000 reservations for the premium all-electric sedan and looks to build 20,000 vehicles per year starting in 2013. Some of the more innovative features on the vehicle include adjustable regenerative braking, adjustable steering resistance, and adjustable suspension and ride height. The base model goes from zero to sixty miles per hour in 6.5 seconds while the Signature Performance version clocks zero to sixty in at a neck-snapping 4.4 seconds. A $100,000 luxury electric vehicle is not going to come close to solving the Chindia problem or providing low-cost transportation for environmentally concerned people. But if Tesla can sell and deliver well-made EVs in the volumes being forecast, it still represents a victory for the electric car industry and the potential of EVs. Tesla might be building an EV that appeals to everyone -- not just early adopters or wealthy environmentalists. Investment firms Barclays expects investors to be focused on initial test drive feedback and "the pace of progress at Tesla's Fremont facility." 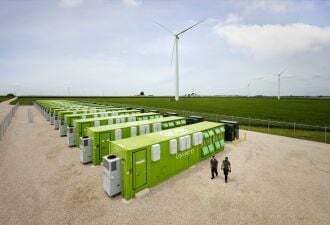 The question of the "green-ness" of an EV running on a dirty grid has been hotly debated here, as has the sustainability of lithium-ion battery materials. (Those arguments were rebutted here.) We covered Tesla's Model X electric minivan here. And we furnished the details of a (fictional) high-speed road test of the Tesla Roadster here. Tesla has managed to meet its milestones and get to production of a real car (as opposed to the collector's edition Roadster) in a very short time. We'll soon know if the firm can keep its momentum and start to generate some profits in the coming quarters. People will be watching carefully because the firm has made ambitious promises and because Tesla was the recipient of a $465 million DOE loan guarantee.